This festival has concluded. Some vendors may still honor the sale price. To learn about new offers and special opportunities, please subscribe to the Eastgate-List. We never share your email address. Winter is coming. It’s time to take a deep breath and roll up your sleeves. It’s the time for new plans and fresh projects and great new ideas. Whether you’re mapping out your next novel, finishing your dissertation, planning a product, or writing memories for your grandkids, these great tools will help. As is our custom in this season, we’re hosting a gathering of software artisans who are working to transform research and writing for a new era. We’ve all finished our latest updates, we’re working together to save you lots of money. Get the tools you need at a terrific price, for a very limited time. Your inspiration doesn’t come from a factory. Neither does artisanal software. For a limited time, we’re all offering you a great price on great software, right at the workshop door. No ridiculous bundles, no silly gimmicks. Great software, great support, great (but sustainable) prices. These are terrific tools for thinking, writing, organizing, and delivering your ideas. Sure, you can manage with less – but why would you want to? Each of these tools is carefully crafted and maintained by a small, dedicated team with vision and determination. Each is constantly honed and improved – since Tinderbox 1.0, we’ve had ninety three full releases for Tinderbox alone. We don’t make you jump through hoops. No need to dig up your serial numbers or clip boxtops. These are all full versions with complete support and upgrade privileges. No contests or hullabaloo, no discounts too good to be true. Just great prices for great software, right at the vineyard gate. Tinderbox and Storyspace: order right here. No matter what craft you're pursuing, there is no investment more useful, productive, or gratifying than a set of finely crafted tools and trustworthy reference materials. You don’t discover inspired design in focus groups. Artisanal software is filled with ideas, ambition, and a passion to make things right. Using all these tools together lets our team build better software while engaging the rest of the research community. The applications on offer for WinterFest comprise some of my favourite writing software. There’s something here for every step of the writing process, from gathering research and working out connections between ideas, to putting it all together into a manuscript and polishing the text for wherever it needs to go. Our customers love to create something new. And for this, they collect, organize, structure, delete, note, write, and – finally – perfect. With the apps that we have put together for you in this WinterFest, handcrafted by creators for creators, you can do this without the computer getting in the way of your creativity. Over the past 15 years, we’ve created hundreds of books that help answer questions, solve problems, and demystify the latest technology. To do this, we rely heavily on tools made by other WinterFest participants—for example, all our books are created using Nisus Writer Pro, we use PDFpenPro in our production process, and we use Panorama X to track sales and report royalties. And many of our authors and editors depend daily on essential tools like BBEdit, DEVONthink Pro Office, Scrivener, and TextExpander. We appreciate the care, attention to detail, and personal support we get from these developers, and we think you will too! We’ve worked hard to make Timing track the time spent in other WinterFest apps as accurately as possible. For example, Timing will track exactly how much time you spend on each document in PDFpen, including the file path. Similarly, Timing can track your writing time per document in Nisus Writer Pro and how much time you spend on each timeline in Aeon Timeline 2. 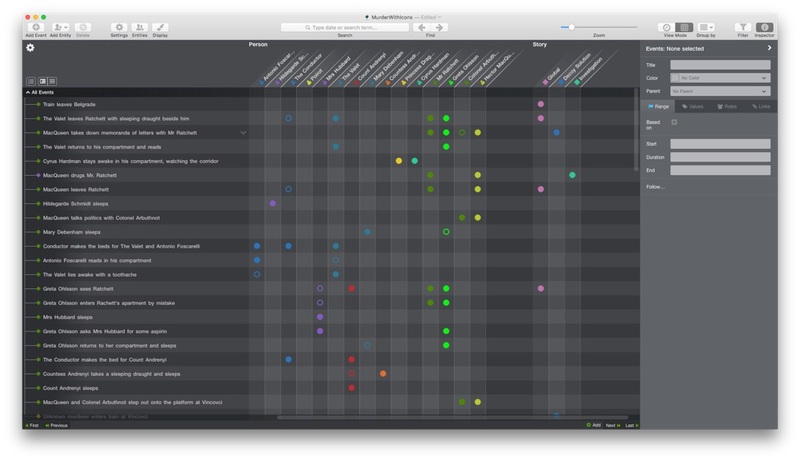 In fact, Timing has its own timeline to visualize how you’ve been spending time on your Mac, so as an Aeon Timeline user you will feel right at home! 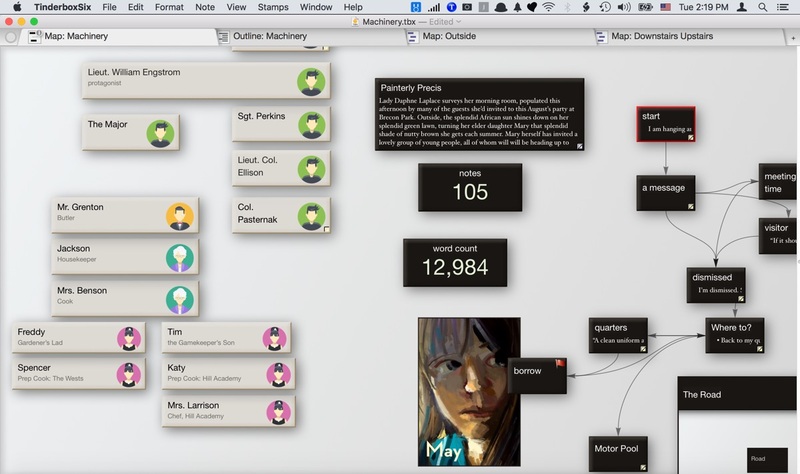 Tinderbox helps you keep track of the real complexity and messiness of the world. – Ted Nelson, inventor of hypertext and author of Computer Lib and Possiplex. You know that feeling you get when you put on your favorite, well-worn t-shirt and jeans? I just got that feeling when I started up the program. I live in Nisus Writer Pro." – Lou Lesko, award winning writer and photographer. Tinderbox stores and organizes your notes, plans, and ideas. 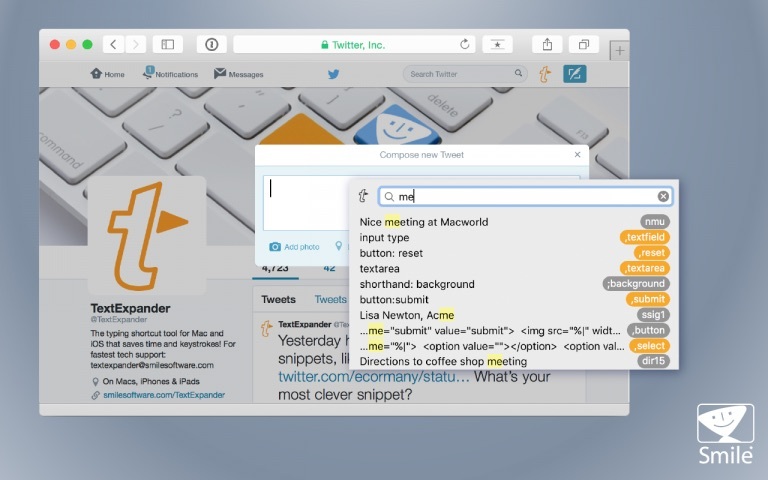 A professional tool that helps you analyze and understand your information as it grows and changes, Tinderbox is a powerful but personal content assistant that helps you share your notes through the cloud and on the Web. New: Take notes on your iPhone or iPad, route them directly to the pertinent Tinderbox project! Nisus Writer Pro is a powerful word processor with an impressive set of features to help you create beautiful documents. Nisus Writer Pro offers an intuitive interface, superior multilingual text support, unmatched compatibility, and an abundance of tools that allow you to create, edit, and polish your prose. Taking notes in class, creating your thesis, or writing your book, Nisus Writer Pro can handle it all. The WINTERFEST2018 coupon gives you 25% off on Scapple, an easy-to-use tool for getting ideas down as quickly as possible and making connections between them.If you’ve ever scribbled down ideas all over a piece of paper and drawn lines between related thoughts, then you already know what Scapple does. Organize and work with all your documents — bookmarks, email messages, text files, images, PDFs — in one place, regardless where they come from. Quickly capture data without interrupting your workflow. DEVONthink's unique AI assists you in getting the most out of your data collection. Collect, store, work: DEVONthink saves all your documents, keeps them organized, and recalls them whenever you need them. 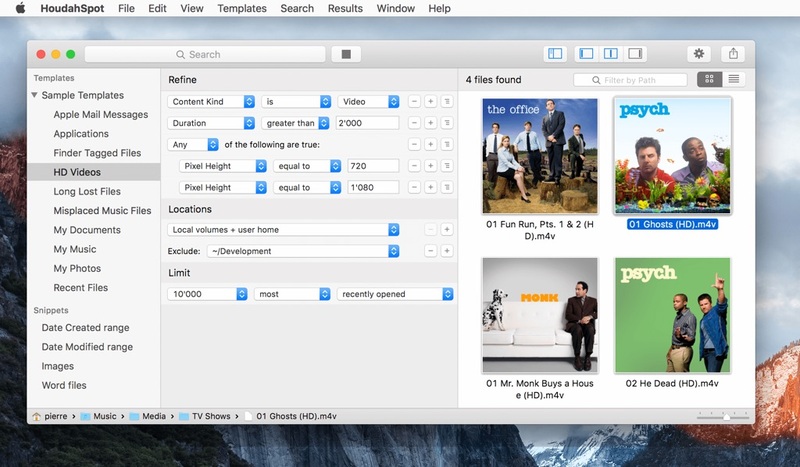 Now there's no need to store Office files, PDFs, bookmarks or other information in separate apps. Let someone else remember all the details: DEVONthink is smart. It not only searches all your documents almost instantaneously, it also finds connections between them, extracts the most relevant topic words, or files documents automatically. 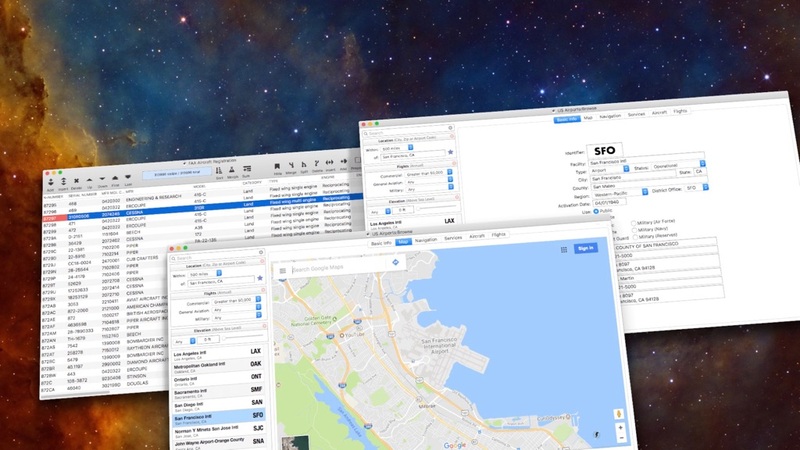 Take your data with you wherever you go: Synchronize your data between all your Macs and iOS devices. Use the local network, mounted volumes, WebDAV, or Dropbox. Encrypt your data to protect your privacy. DEVONagent Pro helps you search more efficiently on the web. It searches multiple sources, frees you from hunting for the really relevant results, and gives you power tools for your research. Search the web like never before: DEVONagent Pro queries all major and minor search engines, weeds out all the junk, and presents the really good stuff nicely ranked the way you want. Web search the way it should be: DEVONagent Pro’s menulet puts web search where it belongs: right next to Spotlight in the menu bar. Or use its keyboard shortcut, instead of reaching for the mouse. You still have to type your query yourself, though. It's not about search; it's about productivity: You are already busy writing, creating, researching. Let DEVONagent Pro assist you by providing you with the data you need and the best tools on the Mac for working with it. Aeon Timeline 2 is the next generation of Visual Timeline Software. For writers in the opening stages of planning, the final stages of editing, or anywhere in between, Aeon Timeline 2 helps you build your plot, avoid plot-holes and inconsistencies, understand your characters and the connections between timeline events and a large cast of characters, and visualise your story in new ways. And for project and case management, Aeon Timeline 2 offers a lighter and more flexible way to plan, analyze and track your projects, employees, milestones and more. We have just released version 2.2, which adds an ability to sync with Ulysses and many great enhancements to syncing with Scrivener. Panorama X combines the best elements of database and spreadsheet technology into a single package, making it an unparalleled tool for working with and analyzing any kind of information. Like a spreadsheet, Panorama X is RAM based for speed and flexibility, but with all of the data processing power of a full-blown database application and more. Panorama provides incredible performance when sorting, searching, performing analysis, and even when doing complete data restructuring. Even if a database already contains tens of thousand of records, Panorama X can quickly conquer tasks like shifting misaligned data, splitting or merging fields, correcting mis-formatted or improperly capitalized data, search and replace, phonetic searches or even searching with a formula or regular expression. It's like a Swiss Army knife for your data! 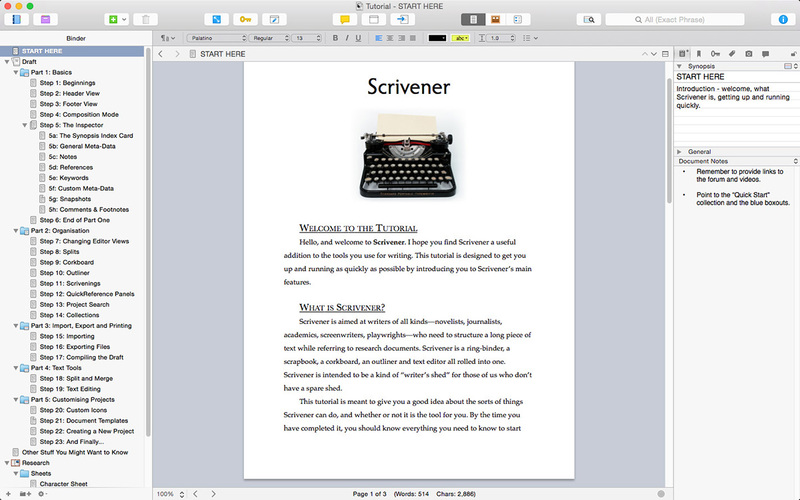 Take Control of Scrivener 3 covers Scrivener 3 for Mac (as well as the iOS version), taking you through the entire creative process in Scrivener from organization and research all the way to a polished manuscript. 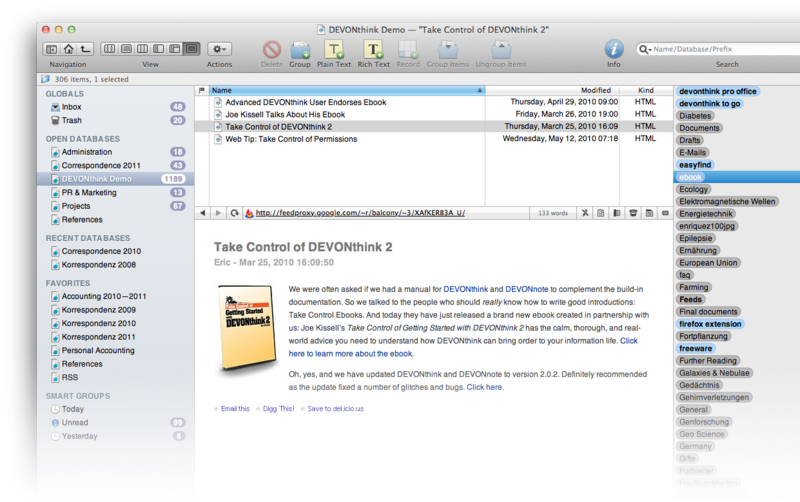 Take Control of Getting Started with DEVONthink 2 explains all that DEVONthink can do and how it can bring order to your information. 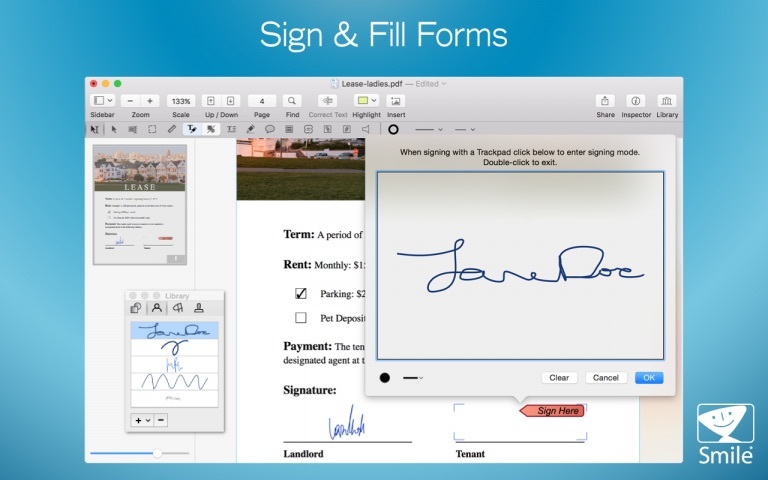 Take Control of PDFpen 10 teaches you how to use PDFpen to work with scanned documents, create and edit PDFs, sign PDF forms, and more. Take Control of Your Apple ID by Glenn Fleishman helps you manage and solve problems with your Apple ID(s). Take Control of Your Digital Storage by Jeff Carlson is the Mac user’s guide to choosing, using, and troubleshooting mass storage devices. Take Control of Notes by Josh Centers shows you the hidden power of Apple’s deceptively simple Notes app for Mac and iOS. Take Control of Photos by Jason Snell is a detailed guide to using Apple’s Photos app for Mac and iOS. 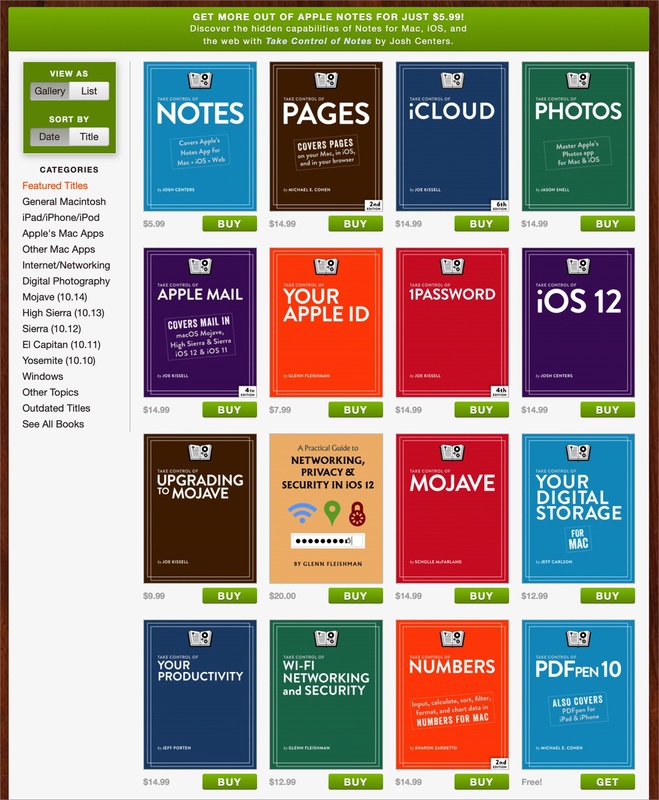 You’ll also find books about productivity, online privacy, Wi-Fi, Apple home automation, 1Password, Apple Mail, Apple TV, Calendar & Reminders, iCloud, iTunes 12, Numbers, Pages, Preview, and much more. Let our authors save you time and aggravation with their timely, expert advice! 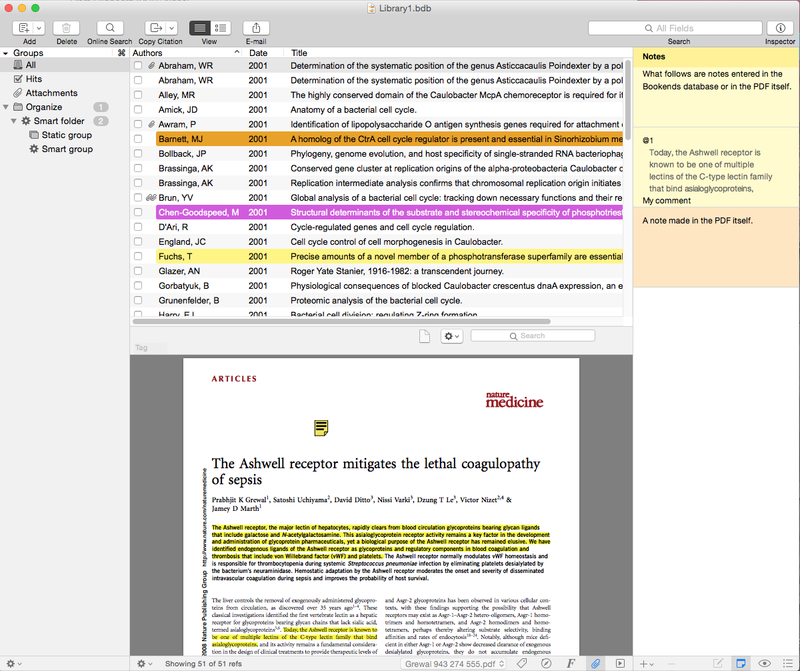 Reference management entails the collection, annotation, curation, and citation of published information. This is exactly what Bookends does, and it does it like no other software. Storyspace 3 brings fresh and new technology to reimagine the writing environment that launched the golden age of hypertext narrative. Years before the Web, adventurous writers crafted intricate, interactive stories of tremendous literary scope. 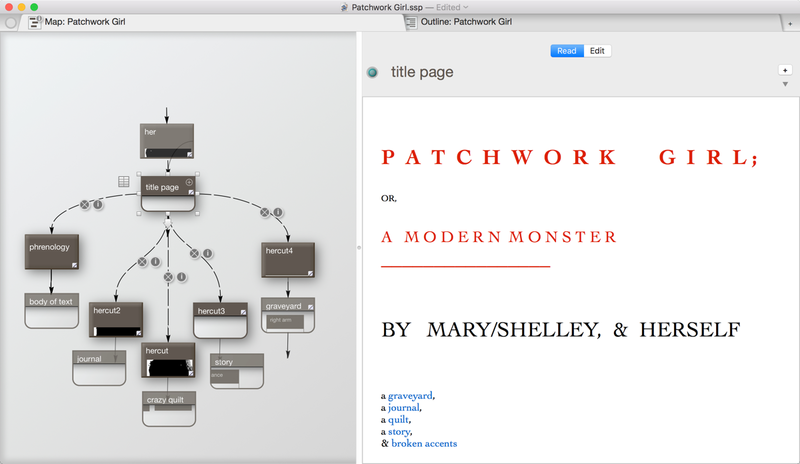 Now, Storyspace 3 brings modern Macintosh typography and the flexibility of Tinderbox – with which Storyspace works intimately – to provide new perspectives on writing with links. Edit PDFs easily with PDFpen! Edit PDFs easily with PDFpen! 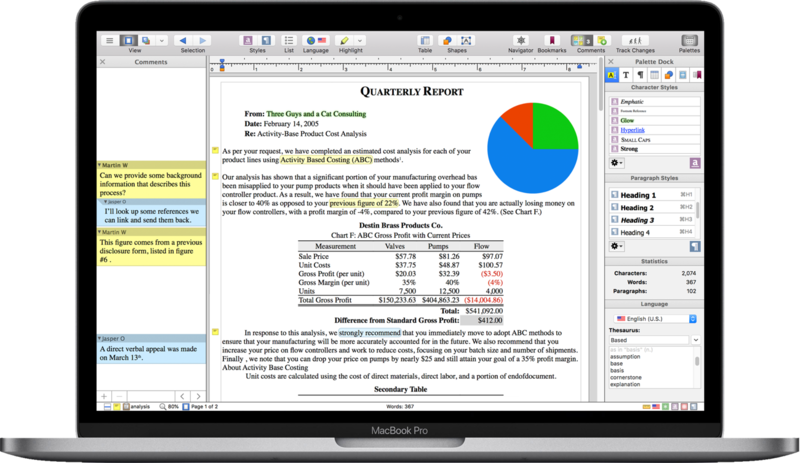 PDFpen is a heavy-duty document editing app for Mac. Add text, images, signatures, highlights, and comments. Make changes, fix typos, fill out forms, and redact sensitive information. Use OCR (Optical Character Recognition) to turn a scan into editable text. Export from PDF to Microsoft® Word. Stash your documents in iCloud, Dropbox, Evernote or any other cloud service. Word processing files containing "invoice" or "estimate"
HoudahSpot is a powerful, yet easy-to-use file search tool. 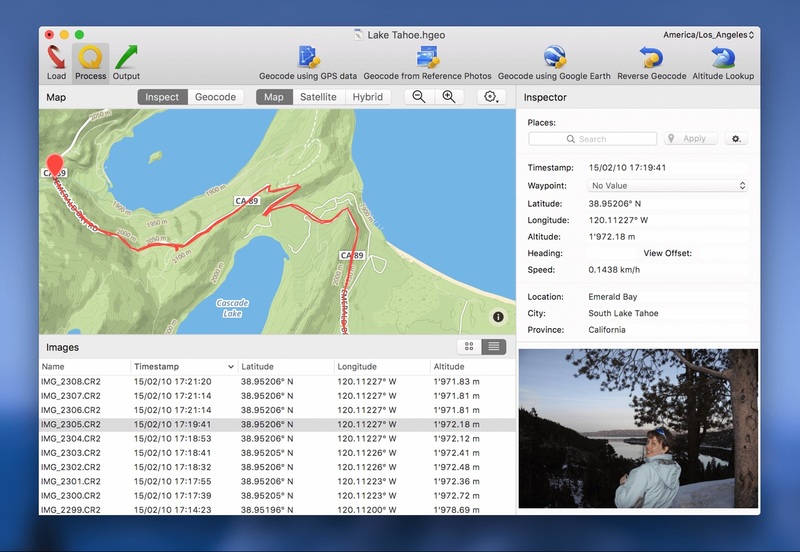 It keeps all the information collected on your Mac within easy reach: documents, email messages, photos, and videos. Search by name, text, file type, sender, etc. Sort by date, file size, image dimensions, etc. 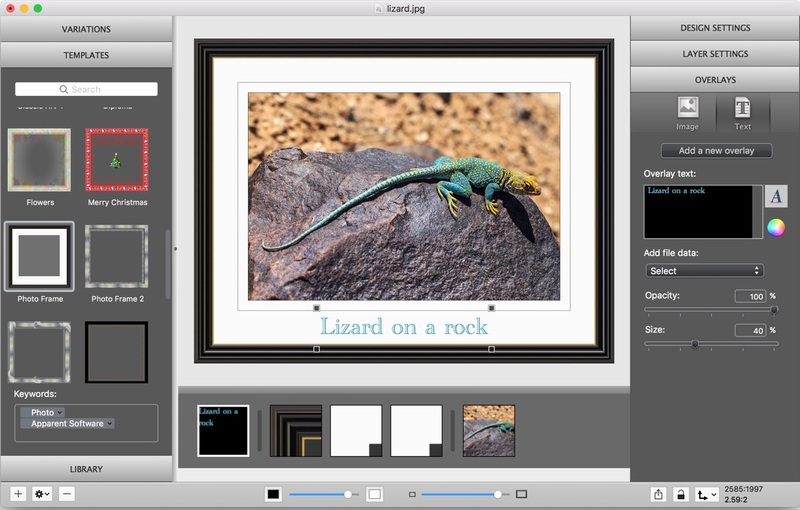 ImageFramer Pro is the framing solution for macOS. Quickly and beautifully frame photographs, digital art, Etsy shop listings, family snapshots—any image you can get onto your Mac. Choose from thousands of photorealistic or artistic frames and mats, layered in endless combinations. Add text and image overlays, including watermarks to digitally sign your original artwork. Who uses ImageFramer? Professional artists, photographers, bloggers, scrapbookers, craft enthusiasts, and anyone who just wants better looking family photos. Showcase your art with lifelike frames for a professional look, find the perfect frame by comparing multiple designs, or just have fun with your image library. From greeting cards and calendars to websites, proposals, and professional framing, ImageFramer Pro is a delightful addition to your creative toolbox. Use HoudahGeo to add location information to your photos. By geotagging your photos you allow cataloging tools like Apple Photos or Adobe Lightroom to organize and find photos by location. Geotagging photos with HoudahGeo adds GPS location information to EXIF/XMP metadata embedded within the actual image files. This creates a permanent record of where the photo was taken. Industry standards ensure that this information remains available years from now. Show your photos in Google Earth: pinned to the location where they were taken. Be it to recount your travels, to present real estate, document infrastructure or environmental damage, etc. 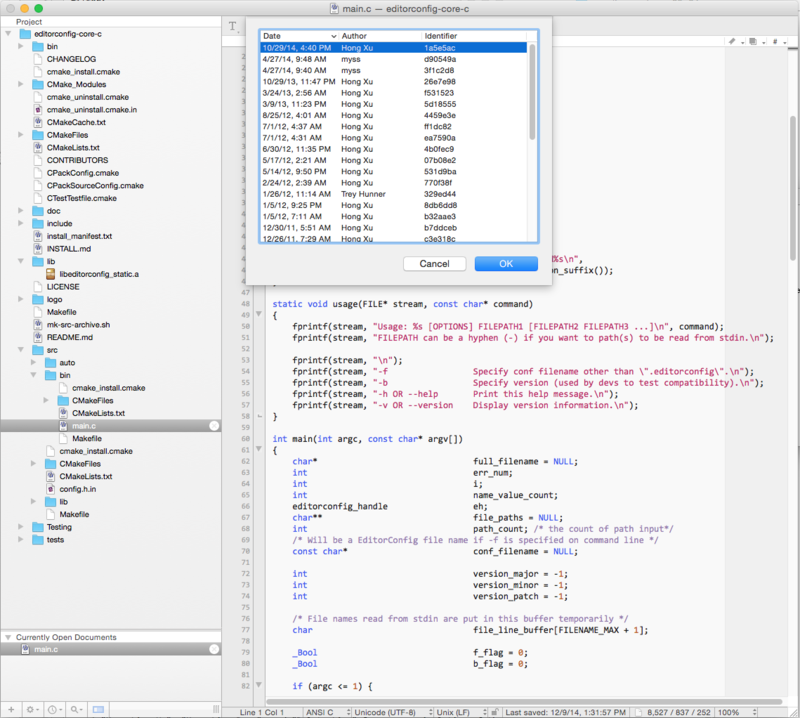 BBEdit is the leading professional-strength text and code editor for the Mac. Crafted to serve the needs of writers, coders, web developers, and everyone who works with text, this award-winning product provides a vast number of helpful features for editing, searching, and manipulation of text. BBEdit enjoys legendary status for reliable, high-performance text transformation. 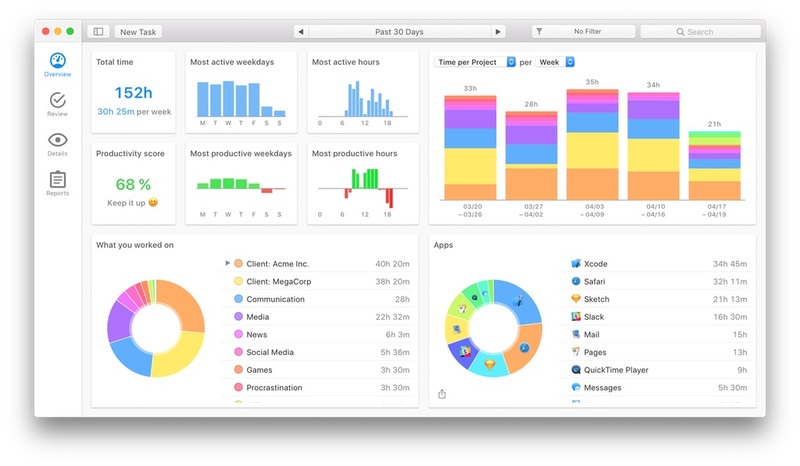 Timing automatically tracks how you spend time on your Mac — down to the app, document and website. This helps you become more productive by allocating time more effectively. Timing’s interactive timeline also makes it easy to track “offline” times such as meetings. And if you are a freelancer, Timing can create timesheets to make billing your hours a breeze. Fine Print: This special offer may end without notice. This offer cannot be combined with other discounts, and may not apply to all update offers or multiple-user packages. Trademarks are the property of their respective owners. Great deals and artisanal software make for hectic order rooms and real people handle each order; your patience is appreciated.